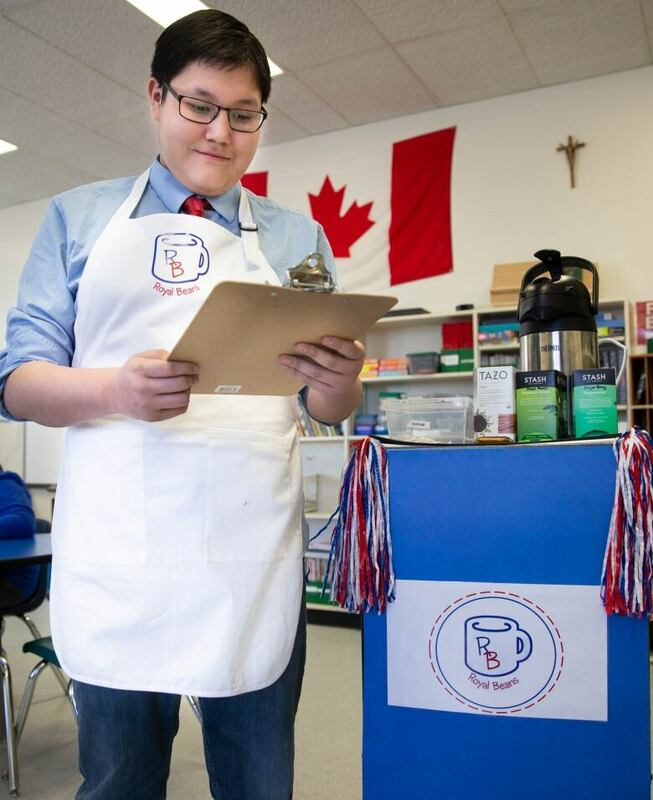 A special program at Michael A. Riffel High School in Regina is so successful it's taking at least some business away from Tim Hortons every Friday. A special program at Michael A. Riffel High School in Regina is so successful it's cutting into Tim Hortons' business every Friday. 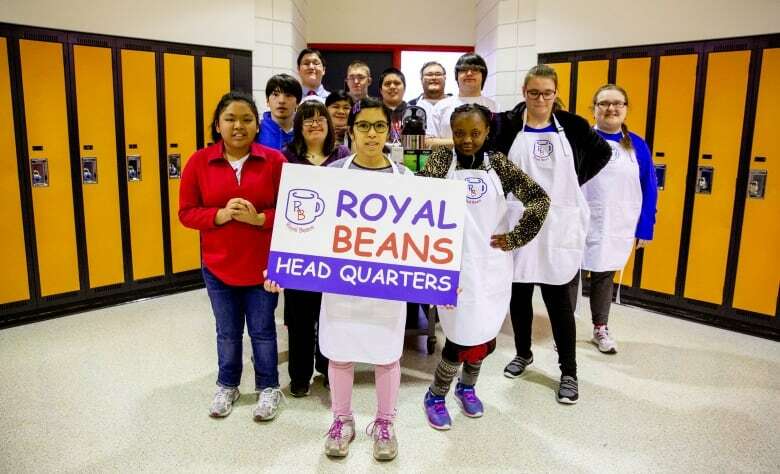 Royal Beans is a coffee businesses operated every Friday morning by students in the Functionally Integrated Alternative Education (FIAP) program for students with intellectual disabilities. "It's been amazing," said Jake McGeough, the program's teacher. "It's a lot of hard work but it's a job where I absolutely love coming to work every day." Josh Benjoe is one of the smiling students you'll see walking the halls and serving coffee every every week. "I'm supposed to be a leader," the Grade 11 student said. "I'm supposed to be taking [coffee] orders from adults, such as Mr. Palmarin." McGeough said the idea to start the coffee business came after he heard about a similar program in Texas. It's been running at Riffel for about seven weeks. "Basically what it is is we serve coffee and cinnamon buns to the staff at Riffel on Fridays," McGeough said. 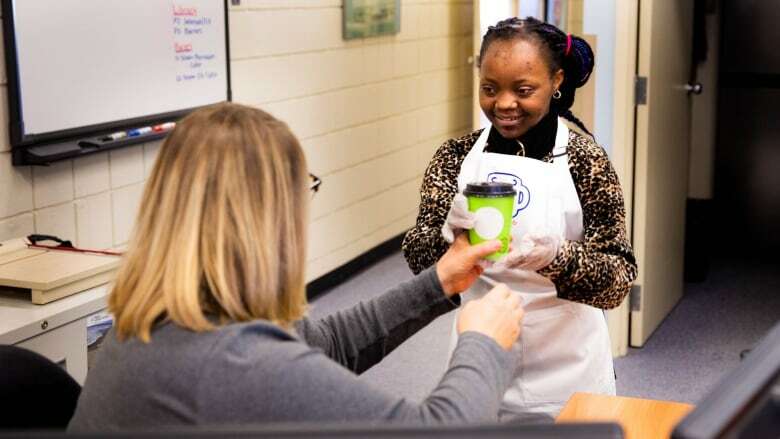 "For our students, it's an awesome life skills opportunity for them. They get to interact and hang out with their friends and it's also a really good work experience opportunity for them." 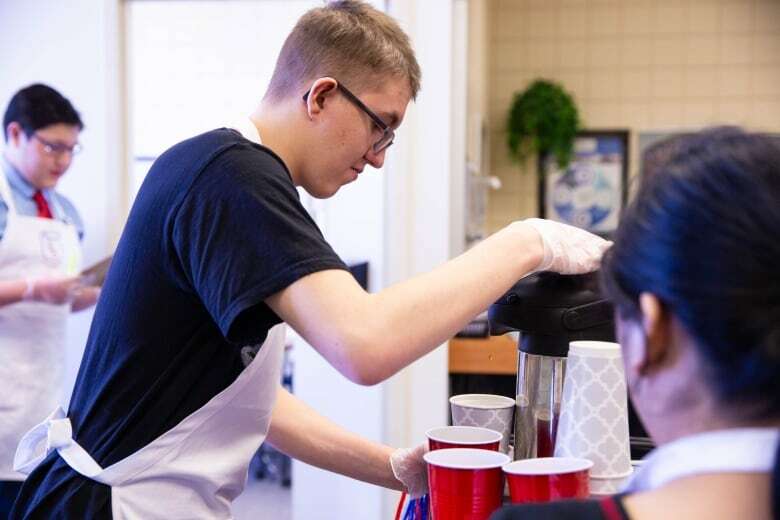 It took a few trial runs to get everything running smoothly, but McGeough said the students are now taking the orders, grinding the beans, brewing the coffee, delivering it to order and handling all the money. He expects they will be able to completely take over the business and make it their own in a month or so. At each delivery stop, Benjoe organizes his team and reads out the order to make sure it's correct. "I like it because it's fun," Benjoe said. "It's fun being a leader." The 16-year-old has also learned it's not always easy being a leader. "Sometimes they don't listen or they keep getting distracted," he said with a laugh. Patricia Pilon has been an instructional assistant at Riffel's FIAP class for nearly five years. She had previously spent seven years at St. Jerome School, where she worked with several of the students who are now at Riffel. "When I got here, I got to see how they developed throughout the years," Pilon said. "To see their progress is amazing and it's so fulfilling." It doesn't take long to see the impact the FIAP students are having on Riffel. "Everybody just sparks joy when they see the [FIAP] kids and the kids love being with them," Pilon said. "They're integrated into so many classrooms here and they've met and and have made lasting friendships." 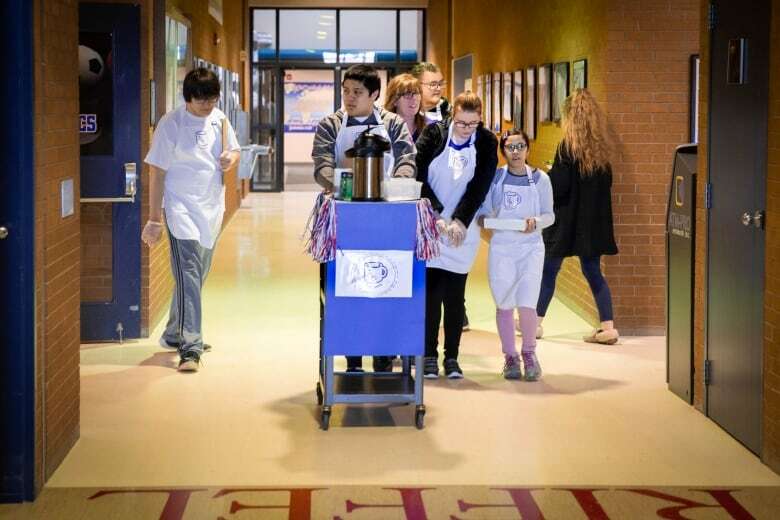 Suited up in their Royal Beans aprons, the FIAP students walk through the halls pushing their coffee cart. As they make their routes, other students give them high-fives, they say hello, they crack jokes and share laughs. Pilon said that outgoing attitude wasn't always there for the students she knew a decade ago at St. Jerome. "That's what I'm just amazed at every day," she said. "Some of the kids wouldn't talk. We've got one student here, when she came to us she did not speak English at all. Now she is the most vocal student in the high school. She talks to all the students. She knows all their names ... it's just mind blowing." 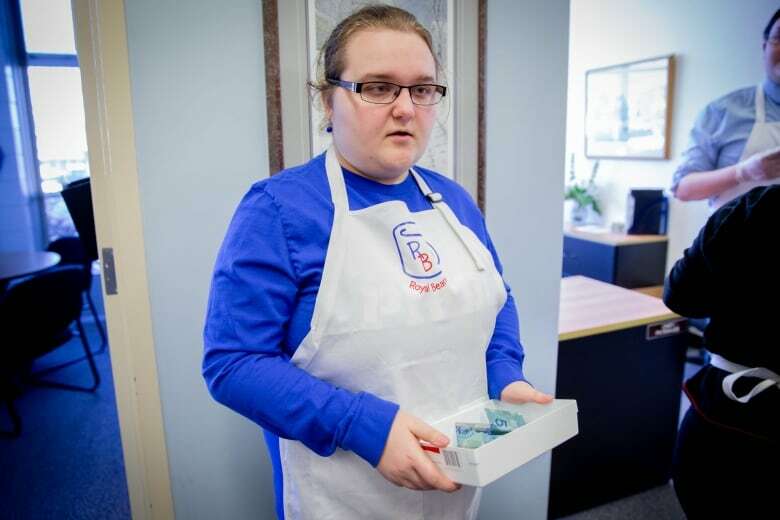 Laryssa Linklater is another FIAP student who says she enjoys working with Royal Beans. On this particular Friday, she was handling all the financials. "I like to do money every day," Linklater said. "I feel kind of shy a bit but I like it here [handling] the money and Royal Beans." The 18-year-old said this experience is helping her with future goals. "I wish I can work at [a] restaurant," she said. Hearing those aspirations are "incredible" for McGeough. "It actually warms my heart because I know that she is someone that can absolutely do something like that," he said. "We actually have her hopefully lined up with a work experience term that will have her in a little restaurant or a business." While the work experience is a major motivation for this program, both Linklater and Benjoe said there is one other part of the job that makes it so worthwhile: friendship. "We usually hang out a lot like around the commons area," Benjoe said while standing beside Linklater. "You invited me to your sister's party." "Yeah, me and Josh are friends," Linklater said. 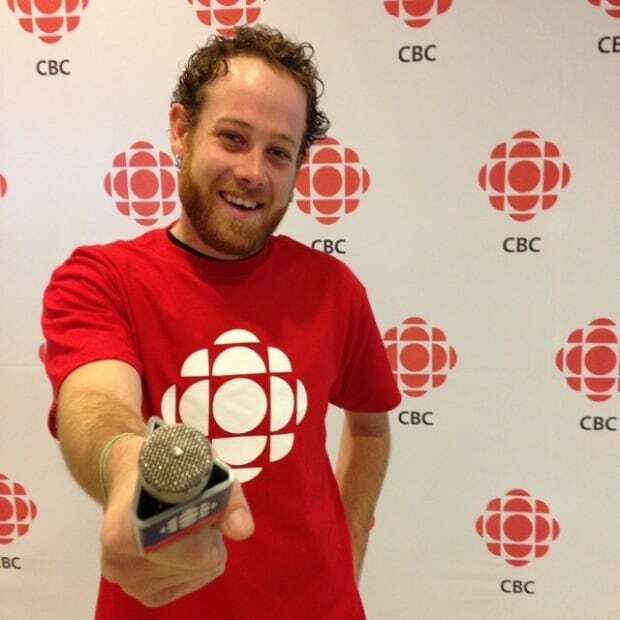 Peter Mills is an Associate Producer with the Morning Edition on CBC Radio One in Saskatchewan. Follow him on Twitter @TweeterMillsCBC. Do you have a story idea? Email peter.mills@cbc.ca.